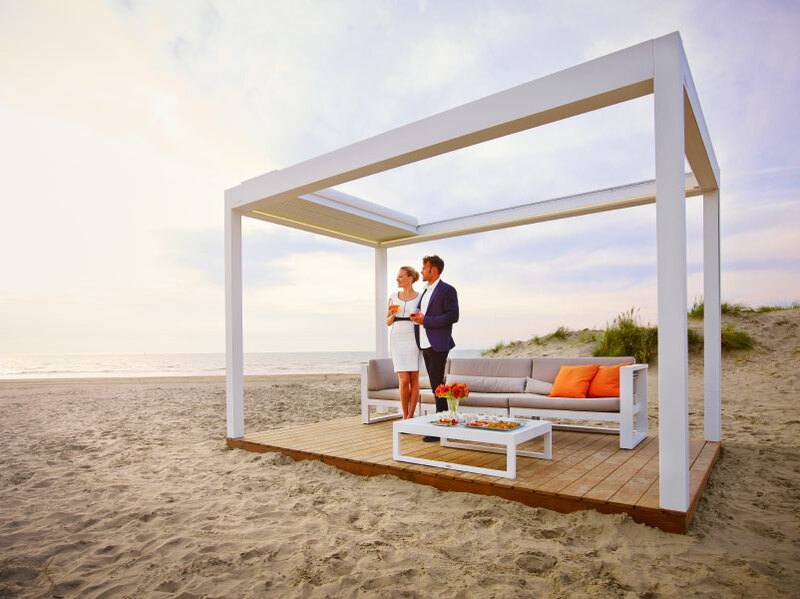 Our latest addition to our product range the new Open Air Operable Louvered Retractable Pergola is in a league of its own. This beauty is a class above the rest with a list of optional extras available to make your outdoor area exactly how you imagined it. 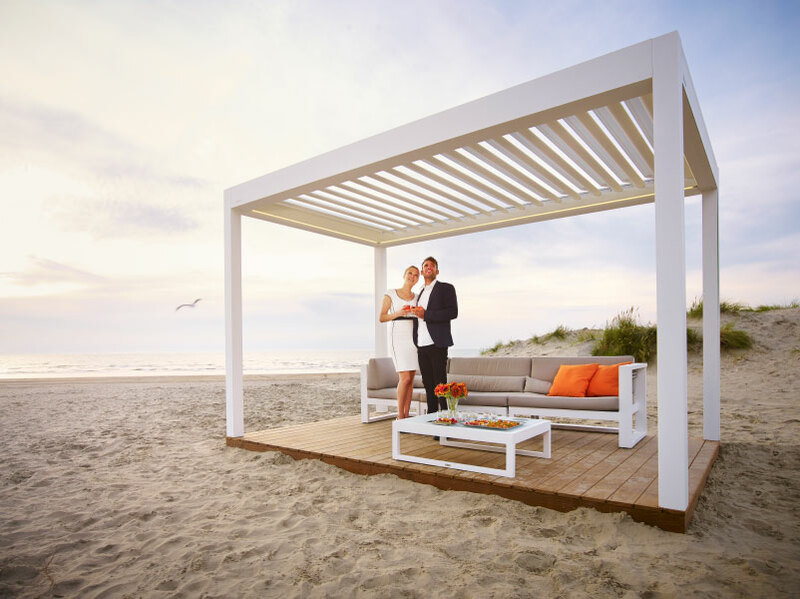 Outdoor entertaining reaches new levels with this attention grabbing Pergola that has all your shading solutions wrapped in place. This cutting edge design displays luxury at its finest and will definitely impress your guests. The Open Air is not only operable, it fully retracts to your desired extension as well as opting for integrated LED Strip Lighting throughout the System and Integrated External Sunscreens on as many or little sides you require to give you extra privacy or to seal off your pergola entirely. The exclusive engineered detail of the Open Air louvre is the cursive shape. This allows minimal stack when the pergola is completely retracted. – Can be mounted as a stand alone structure. – Coupled gutters drain rainwater to the provided posts.